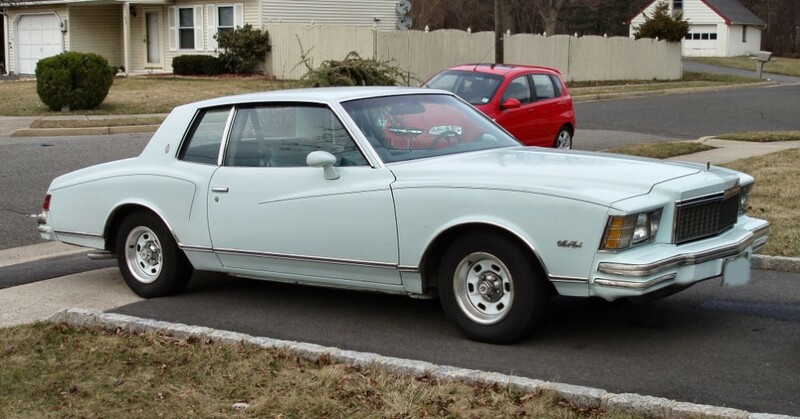 The 1979 Monte Carlo was very similar to the 1978 model except for a few small trim changes. The grille was updated along larger tail lights and different front parking lights. The front turn signals were on the lower corners of the fenders. Standard exterior paint colors were beige, black, dark blue, light blue, pastel blue, dark brown, camel, carmine, dark carmine, light green, medium green, silver, white and light yellow. Options included custom, two-toned exterior colors in light and medium blue, camel and beige, carmine and dark carmine, light and medium green, silver and gray and silver and black. T-tops were also available as a new option. Bench seats came standard but consumers could opt for buckets. Seats were cloth unless the consumer optioned for vinyl and came in a variety of colors including black, blue, camel, carmine, green, and oyster. The Landau option came with an automatic transmission, deluxe wheel covers, sport mirrors, pin striping, elk grain vinyl rear roof cover, and side sill moldings. The Buick 231 CID V6 motor remained standard on base models in California and on all Landau models but a new Chevrolet 200 CID V6 (which was the predecessor of the Vortec 4300) was now the standard engine on base models in all other 49 states. The optional 140 HP 305 CID V8 from the previous year was still available but was now also offered in a 160 HP four barrel carburetor version. New was a 125 HP 267 CID V8 option.